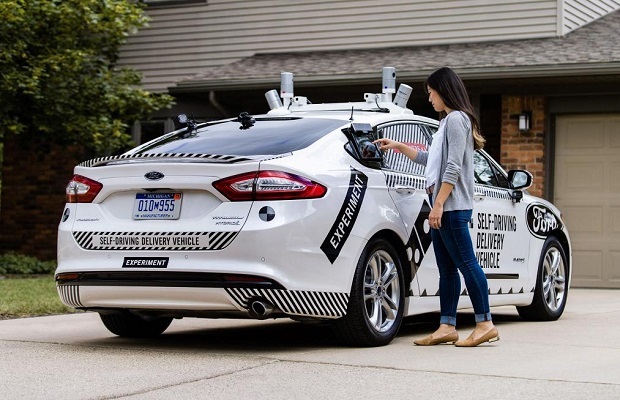 Entries from Digital Intelligence tagged with "ford"
Domino's is trialling self-driving delivery cars in the US, following a partnership with Ford. Ford is investing $1bn (£800m) over the next five years in artificial intelligence (AI) company Argo, as the car giant looks to expand into self driving cars. 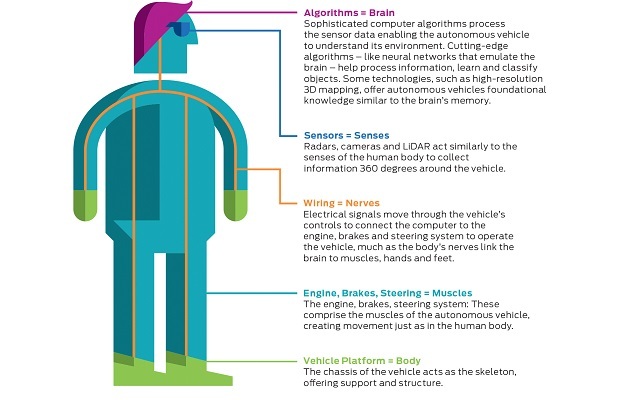 Google is urging car manufacturers to get on board its self-driving car project as it looks to expand beyond road tests. Ford has struck a deal with Spotify that will see the car maker bring streaming music to its dashboard radios. Following the launch of Windows 8 Ads-in-Apps (AiA) Microsoft has unveiled the latest campaigns to make use of its new cross-platform ad formats. General Motors to return to Facebook paid marketing? General Motors is discussing the prospect of restarting paid Facebook advertising, following its controversial pull out from the social network's ad schemes two months ago, according to a news report. The move comes after the car maker’s high-profile abandonment of the social network’s paid marketing in May, which came as a blow to Facebook just ahead of its $100bn IPO fiasco. The automaker maintained its free brand pages on the site but said its $10 million Facebook ad budget wasn't delivering an adequate financial return. In a shock move ahead of Facebook's IPO this week, General Motors is reportedly pulling all of its $10m- worth of ads from the social network saying that paid ads are 'ineffective' on the platform. The report, from The Wall Street Journal, cites people familiar with the matter Facebook, saying the car giant still intends to do marketing through Facebook but that's not going to put any money in Facebook's pocketbook. Ford is launching an online reality TV show in partnership with Yahoo in the US. The car maker will promote its Focus Electric model during an online reality program called “Plugged In.” The online program will begin in May, when Ford’s Focus Electric model will be available in some U.S. markets. It will be broadcast exclusively on Yahoo! Screen. Car giant Ford has embarked on a new social media campaign, featuring a puppet named Doug and some of the talent behind major US comedy shows, including The Simpsons, The Office: An American Workplace and Curb Your Enthusiasm. Doug, is a ‘spokespuppet’ with an obnoxious attitude that often lands the Ford Execs that hired him in trouble. The character was created to be a provocateur, to attract people's attention that might not know about the All-New 2012 Focus, or who would never have considered it. 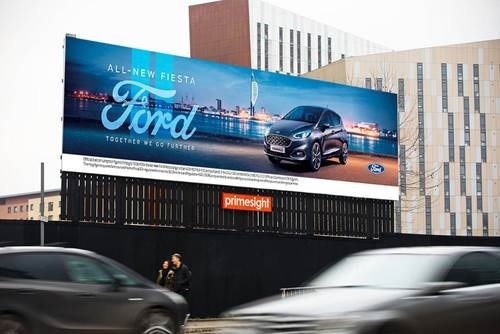 Car maker Ford has launched FordOnline.co.uk, a new car buying website that lets shoppers buy cars over the web, via email or telephone transactions. The site is run by Ford retail, and was set up as a response to growing demand for wanting to buy a car without going to a dealership. FordOnline.co.uk said it has found that a large proportion of internet shoppers, nearly 40% (37%) in fact, are prepared to purchase vehicles without a test drive. This allows FordOnline.co.uk to grow fast as it removes one of the final barriers to online selling of vehicles, the company claims. Ford has unveiled new technology that could allow drivers to use Twitter, stream online radio and search the web from behind the wheel.The technology, Called MyFord Touch, the system is powered by Ford's SYNC technology and has been designed with Microsoft. It was revealed last week by Ford's chief executive Alan Mulally at the Consumer Electronics Show in Las Vegas. Mulally said: 'We are bringing the internet to the car. All the applications you can get on mobile phones, we'll bring in the car. It will all be absolutely hands-free and voice activated – keeping the driver focused on the road'. Some of the applications promised by Mulally include Wi-Fi connectivity for up to five users in the car, text messages or tweets read aloud to drivers, and the ability to stream internet radio.